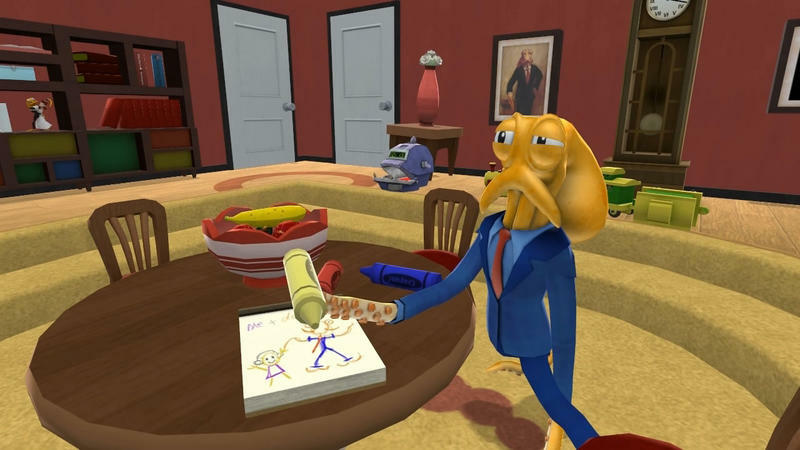 We're Streaming Octodad: Dadliest Catch at 1pm EST! Grab a drink, perhaps something to eat, and get ready to watch us play a video game. We're trying something new here on TechnoBuffalo, we're livestreaming a game on release day. Starting at 1pm EST, we'll be playing 30 minutes of Octodad: Dadliest Catch for your amusement. The video sits at the head of this post, and the Twitch chat widget sits below. Feel like yelling/complimenting me? Do it there, I'll be watching the client and responding in-game. There's a delay, though, so don't fret. The stream will end around 1:30pm EST, though we might stick around if you folks want. Let us know if you like this new idea. If that's the case, we'll do it as often as we can. Also be sure to check out our Octodad: Dadliest Catch review for our full thoughts on the game.